The choice of ionization method depends on the properties of the sample. 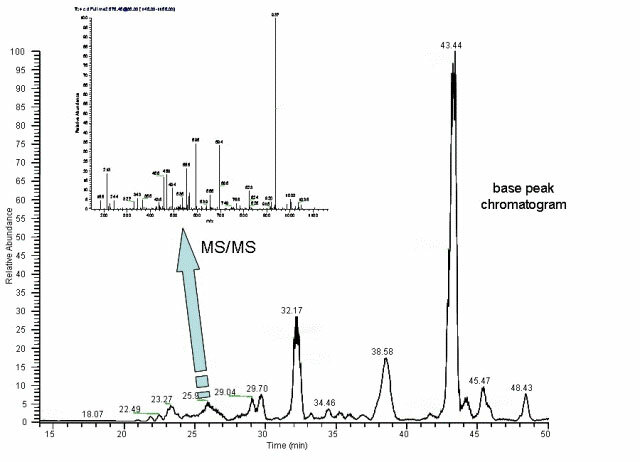 Precursor ions observed in full scan spectra are selected for MS-MS. 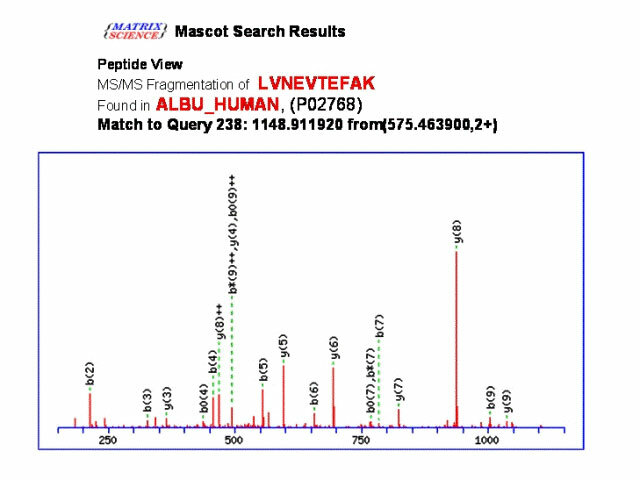 Protein database search engine correlates observed spectra with theoretical spectra derived from amino acid sequences.